Macroeconomic data released in the first half of this year shows that China’s fundamentals are stabilizing, proving that the supply-side structural reform has delivered results. While financial supervision and structural deleveraging are further stepped up, there is continuing pressure from the economic downturn and debt accumulation, as well as a normal mid-year tightened liquidity supply. From a global perspective, the escalation of Sino-US trade tension and economic fluctuations in emerging markets both bring about uncertainties to the Chinese economy. 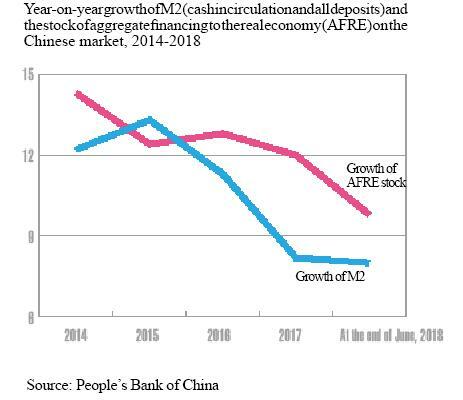 Meanwhile, on July 5, the PBoC’s latest cut to the reserve requirement ratio (RRR), minimum levels of reserves that commercial banks are required to set aside took effect, releasing 700 billion yuan (about US$103b) on to the market. The purpose is to support debt-to-equity swaps and small and micro businesses. The RRR has been lowered three times this year, measures intended to address structural problems, including the high debt-to-asset ratio of enterprises, limited access to capital for small businesses and funding of green and agricultural projects. 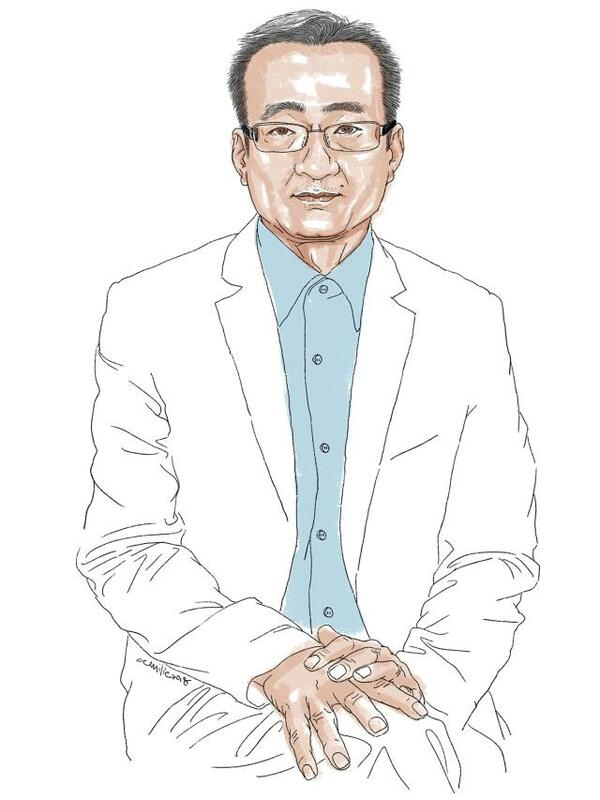 Liu Yuanchun, an economist and vice president of the Renmin University of China, told NewsChina that recent market fluctuations in China are a result of the continuous accumulation of interior and exterior risks. He stressed that in the second half of the year, China needs to strike a balance between deleveraging and maintaining steady economic growth. Monetary policy alone, which has proved to be of limited effect, needs to be combined with fiscal and industrial polices to shore up market confidence. NewsChina: How do you see the recent market fluctuations in China? Liu Yuanchun: The fundamentals on China’s supply side have maintained steady development and the economy had a good start this year compared with previous years. revenue saw year-on-year growth of 10.6 percent. From January through May, gross profits made by industrial enterprises above the designated size [smaller enterprises are not surveyed] of 20 million yuan (US$2.9 million) in sales revenue per year increased by 16.5 percent year-on-year. And average public income is continuing to grow by nine percent. All these parameters indicate that China’s real economy is rather stable. Since the 19th National Congress of the Communist Party of China in October 2017, when China launched three tough campaigns to combat systematic financial risks, poverty and pollution, the reform process has entered the most important and substantial stage. During the process of sweeping reform and adjustment, the government needs to achieve obvious progress on deleveraging and controlling financial risks. However, financial clean-ups and reforms to the regulatory system and the government mean temporary pain due to the adjustments, as well as risk exposure related to deleveraging. At the same time, we should notice that while China has entered a key stage of interior adjustment, its previous soft friction with the US, with hopes of solutions through negotiation, has grown tougher. The US implemented punitive tariffs on Chinese goods and China retaliated. The continuous combination of interior and exterior risks has led to fluctuations in market confidence in China recently, which has led to new risks and thus attracted more attention to them. These were the main outcomes of these risks. 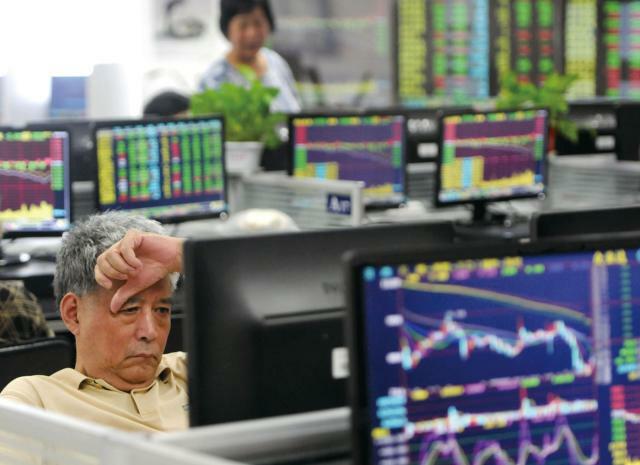 The stock market plummeted nearly 500 points, vaporizing almost 1 trillion yuan (US$147b) of market value. There were extensive bond defaults. Investment and sales in property soared in some cities [mainly smaller cities], but remained lukewarm in other ones [mainly megacities]. There has been sharp depreciation pressure on the yuan’s foreign exchange rate. In addition, some changes in the indicators of the real economy in the first half of the year are worth noticing. For example, the growth of fixed asset investment continued to fall, reaching a 20-year low. The growth of private investment has recovered a bit, but has not yet stabilized. Its growth is increasingly related with real estate investment [which is not desirable]. The growth in retail sales fell below 10 percent [9.4 percent] and sharply declined in the second quarter [to nine percent]. China’s trade friction with the US also is causing concern over the country’s future imports and exports. Those synchronous changes in stocks, bonds, foreign exchange and property markets have triggered pessimism in the market. So even though the real economy is showing good signs in many aspects and the financial reform has achieved much good progress, the market fluctuated more than was generally expected. NC: What’s new about the reasons for the recent fluctuations and the fall in market confidence compared with previous ones? LY: First, the impact of the China-US trade tension is not only on trade itself. It has bust the old myths about the capital market. For instance, the capital market used to chase after companies that claimed to be innovation-oriented, but many have not stood up to the test of the current China-US trade frictions. Second, private enterprises are the main group that have defaulted in the bond market so far this year, but these enterprises attributed their defaults to the stronger supervision and regulations [which have led to shrinking sources of financing for private enterprises, particularly small- and medium-sized ones, although it is an unintended result of the measures]. Struggling with the high cost and difficulties of financing, private enterprises think that their room to develop has not expanded due to the reform, but has instead been further squeezed. Third, after growing for a long time, the debt problem has become so severe that it exploded in some industries and regions. For example, some local governments could not even cover their regular operating costs, and neglected to pay their civil servants. And the ratio of non-performing loans has rapidly risen in some commercial city banks. In addition, the behavior pattern of the government is changing. There are complaints that the government is not doing its due part. 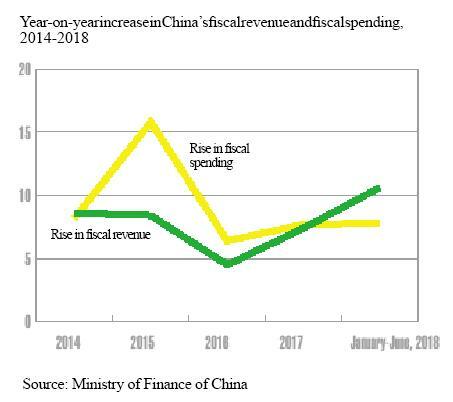 In the first half of the year, the growth of fiscal expenditure was lower than the rise of government revenue, so fiscal deposits climbed rapidly, while deposits from households and enterprises both fell. Meanwhile, hyped-up media reports led to rampant pessimism. Rhetoric that was too optimistic magnified market confidence, but this turned into pessimistic sentiment when things did not move as expected. In addition, some securities companies and private investors exaggerated the risks in the hope of forcing the government to make big policy adjustments in their own interests. Their hype scaled up the risk effect. 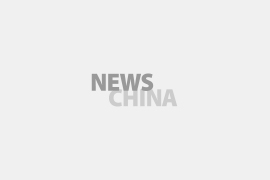 LY: First of all, the scale of debts has reached a certain degree amount – the amount of non-financial corporate debts has reached 208 trillion yuan (US$3t), which means 88 trillion yuan (US$13t) in interest and principal must be repaid this year. Financing this huge sum places huge demand on the liquidity and continuity of capital for enterprises. Then, against a background of strengthened supervision and deepening reform, the changes in the behavior patterns of the government, State-owned enterprises and commercial banks have directly made underlying problems more evident than ever. For example, the consequence of misallocated loans and debt risks accumulated earlier will start to be seen in the coming two years. Listed companies that have made bad investments and used too much of their shares as collateral for borrowing will suffer from crises and risks amid financial fluctuations. In other words, just like the best performance of an organization depends on its weakness, problems in certain regions and sectors have made prominent the risks in parts of the economy. We see that the supply-side structural reform has achieved considerable effects in adjusting the traditional drivers of the economy, but it takes time for new ones to take over. The switch between traditional and new drivers is at a key juncture which is often associated with potential risks. Last, in the process of China’s accelerating steps of opening up, the escalation of the trade conflict with the US has hit public confidence. The fluctuations in international financial markets, particularly the spread of a crisis in emerging markets [due to the stronger US dollar and the US interest rate hike], have resulted in depreciation pressure on the yuan exchange rate, which in turn affected capital flows and caused changes in the share and housing markets. So overall, there is a process of continuous accumulation of interior and exterior risks. China’s reform has entered a key stage as it is going after deep-seated problems. It needs to carry out reform in some fundamental and key fields, which involves adjustment of major interests and structures and thus poses risks. This risk happened to coincide with the trade friction with the US. We have to go through the challenges that arise in this critical stage of reform. Only when we realize the inevitability of short-term risks and fluctuations can we understand the rationality of our medium-to-long-term strategies and carry on. NC: In your opinion, what adjustments should China make to boost market confidence in the second half of the year? LY: Managing expectations. It should be the ultimate goal of policy implementation. At present the reasons for fluctuations in confidence are complicated, so China needs to carry out multiple measures at the same time to clean up the roots of these fluctuations. This needs comprehensive and effective steps. Right now, we must understand that confidence should not be inspired merely through raising liquidity. Rather, the job should be done in combination with deep structural and institutional reforms so as to clarify the priorities and effects of the strategic deployment of tools and measures. Meanwhile, we should reflect on whether the policies in effect are appropriate. In the first half of the year, the proactive fiscal policy was not fully implemented so it could not really play its role in supporting the economy. In the second half of the year, the fiscal policy should be put into effect at a steady pace in a way that has been designed by deficit budget planning and to the needs of the proactive fiscal policy. The government should optimize the transmission mechanism of its fiscal policy through reforms and reconstruct the relationship between the central and regional governments. The tax system has to be improved so local governments are constrained from abusing their credit and are motivated to conduct governance innovation. The reform is expected to change the role of local governments in fiscal revenue and expenditure. It has to ensure their enthusiasm for the next round of reform and opening-up and social construction. Their misconduct in piling up debts due to shortages of financial resources as opposed to taking on their administrative responsibilities has to be stopped. Local officials can no longer focus on propping up GDP growth by investment. The growth of investment in infrastructure construction will rebound greatly, but we should not go back to the old times of an infrastructure-driven growth model. Besides, we should rethink the role of a prudent and neutral monetary policy. Now, the growth of broad money measured by M2, [a money supply indicator mainly represented by credit] is around eight percent, and the total scale of financing for non-financial enterprises and households rose about 10 percent in the first half of the year. Both are too tight for growth of nominal GDP [which is 8.8 percent by taking price changes into account]. There should be proper adjustments to the tools and mid-term targets of monetary policy. Meanwhile, top-level design [of economic strategy] should be adjusted to stimulate the enthusiasm of people from all walks of life to participate in the reform on the basis of clarifying the bottom-line and room for reform. Now the interior and exterior environment has changed, so the main directions and strategies for reform, including the layout of the three-year crucial period [to prevent and solve financial risks] and the optimal path for structural deleveraging, all need strategic adjustment and to start over. At present, the overall direction of our strategies and policies is clear, but more assessment is necessary on the changes in the interior and exterior environments, new problems and their operating mechanisms. For example, the previous policies for opening up underestimated external risks. Now the opening up actually plays a role in forcing domestic reform to be carried forward but it should be made clear that opening up should proceed with controls of interior risks and strategic adjustment. We should set and maintain our own tempo and pace of opening up, and when faced with big conflicts with other countries, we must know how to use our bargaining chips. Most importantly, we should always keep in mind our bottom line [to prevent financial risks]. Risks are likely to be exposed, particularly in the periodic downturn of a financial cycle, when any potential risks have to be defused through the proper conduits and contained in the right way.